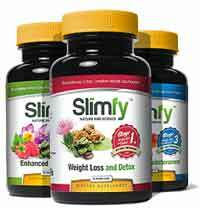 Slimfy is a little different to the majority of weight loss supplements in that it is not a single product, but three different ones designed to work together as a three-stage weight management system. The manufacturers state they designed Slimfy to work in three stages because the body can quickly become tolerant to the use of a single blend which may then become gradually less effective with prolonged use. 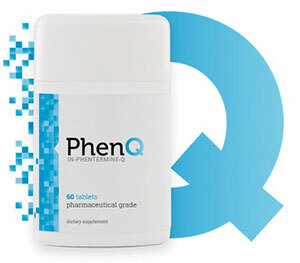 PhenQ is now available without prescription and available to buy direct from its own official website. Performing a detox prior to commencing any form of dieting endeavor is known to encourage superior weight loss results so it’s hard to fault Slimfy for choosing to make a detox the first stage of their system. Green Coffee Bean Extract (1000mg): A powerful thermogenic fat burner that has been tested and is proven to provide results. Hydrangea (600mg): Sourced from the flower of the same name, hydrangea has a strong reputation for being a powerful kidney cleanser. Milk thistle (200mg): Multiple studies show milk thistle to be an effective liver cleanser. Organic ginger (100mg): Ginger is known to soothe the digestive system and has the power to reduce inflammation of the colon. Saffron extract (30mg): Known to be effective for reducing levels of intestinal gas and aiding the digestive process. Do the Ingredients Used Support the claims? Green Coffee Bean Extract (800mg): Green coffee beans are a source of caffeine which can provide an energy boost, increase mental focus, and is generally considered to be an appetite suppressant. Raspberry Ketone Extract (200mg): Raspberry ketone has shown good fat blocking abilities during some studies and is also believed to encourage fat burning and suppress the appetite. Pure Trans – Resveratrol (250mg): A grape extract often touted as a fat burner, but further study is required. Organic Maqui Berry (250mg): Often believed to protect against bowel cancer. May also assist weight loss, but further study is required. CoQ10 (100mg): Coenzyme Q10 is an antioxidant manufactured in the body. It is important for correct cell function and has many uses including easing the symptoms of chronic fatigue. Saffron Extract (30mg): Apart from the possible benefits saffron may possess as a digestive aid, it is also believed to be useful as an antidepressant. Organic African Mango Extract (300mg): Believed to be a thermogenic fat burner, fat blocker, appetite suppressant, detox agent, and energy provider. It is also believed to lower cholesterol levels. Green Tea Extract (600mg): Green tea catechins are renowned for their ability to boost the metabolism and encourage thermogenic fat burning. Caralluma Fimbriata (800mg): Sourced from a cactus, caralluma Fimbriata has a long history of use as an appetite suppressant. CoQ10 (100mg): Often used in the treatment of fatigue, so may provide an energy boost. Lychee Extract (400mg): Recent studies indicate lychee may boost the metabolism and initiate fat burning. As mentioned above the official website is the sole stockist for countries such as the UK, Ireland, US, Canada and Australia. We wouldn’t recommend over and above the likes of PhenQ for a UK or Irish based customer. There are few unsupported such as Libido boost and motivation but Slimfy is a resaonable weight loss product and should be judged as one. 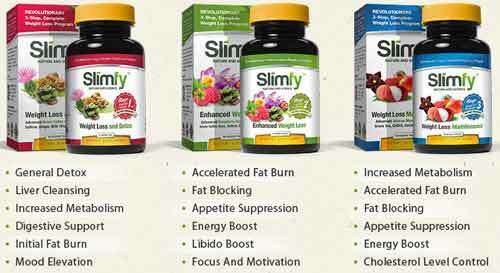 Where can I purchase Slimfy in South Africa.